Saints and sages say that love is devotion and devotion is love. Their deepest desire unlocked the mysteries of the spellbound heart, where each beat was used to create that garland of songs, to gift to their Beloved. And so these revelation are shared by Sage Narad, who imparts these secrets, which purify ones heart to receive the sweetest melody of the most blessed of loves. His instructions prepare the aspiring lover as an offering, into arms of that adorable Cowherd Boy of Vrindavan, Krishn, the One who stole countless hearts and minds with just a glance from His lotus eye or by the mere touch of His beautiful lips to a flute. 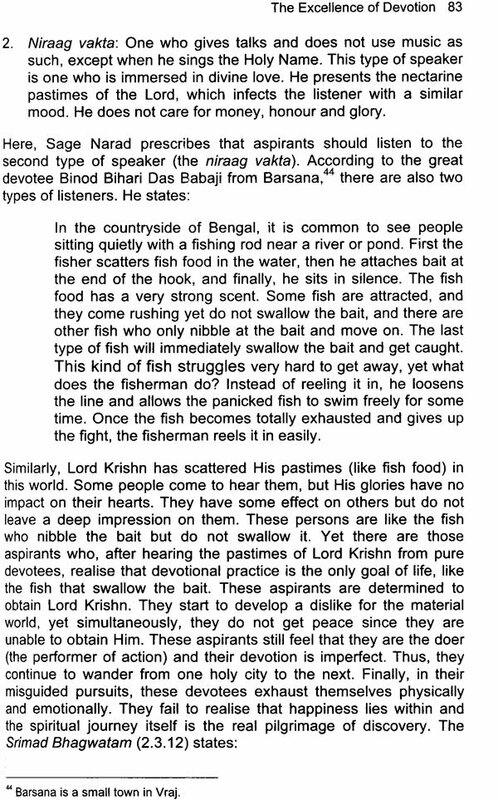 Those who are desirous of Krishn's love can realise and relish Him through the bond of sacred love. 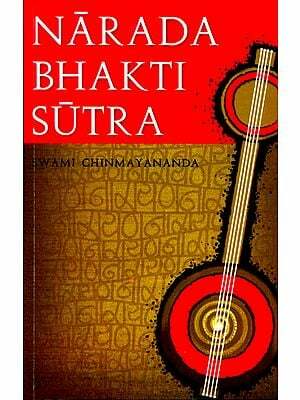 The Narad Bhakti Sutra is the hymn of this sacred love, a song which concludes in a blissful union of the over and her Beloved. Born in the town of Vrindavan, India, Vaisnavacharya Chandan Goswami is a dynamic and prolific spiritual teacher. He is a member of the prestigious lineage of Gurus of the Radharaman Temple, one of the most ancient and famous temples in the Vraj region. Since his mid-twenties, he has travelled extensively, delivering talks on spirituality in over twenty countries worldwide. 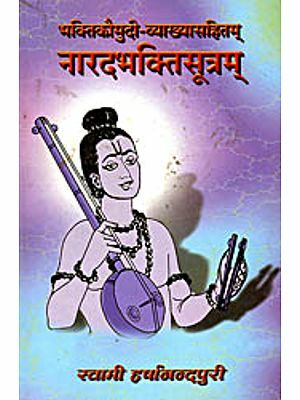 He trances his spiritual lineage to Chaitanya Maharabhu, and following His example, he shows the way of sacred love in its pursed most essential form, which is beyond sects, religious affiliation, gender age or ethnicity. Vaisnavacharya Chandan Goswami illuminates hearts with his enigmatic preaching and nourishes souls with the enticing taste of devotion, leaving aspirants craving for more of that divine sweetness. It's as though I have ?You infinite times, in infinite forms, life after life, forever. On the boat of my dream, I have sailed down infinite rivers, entranced by their shimmering waves, compelled by their currents towards my ultimate destiny. And now the ocean of love gave its water as a gracious gift for each of those rives. To the ocean all return. There are unspoken prayers that echo in the heart like a single sustained note, supporting the melody of life. Today, some soul is praying, "I would ask nothing of You, but if You wish to bless me, grant me this. Make me a dolphin swimming freely in the ocean of Your heart. On the waves of Your Joy, make me dance in Your love forever. Open my love-eyes so that I might see Your face in every face. I wish to hear Your Name in every sound and feel Your love in every heart, that I might be near You, my Love, everywhere and always". It may seem unreasonable for a finite soul to try to bind the infinite Lord of all creation in her heart, like a child reaching out to catch the moon. But I have heard from the mouths of sages that Love makes the impossible possible. Love experiences what reason cannot know, and the heart can see visions that the eyes cannot see. 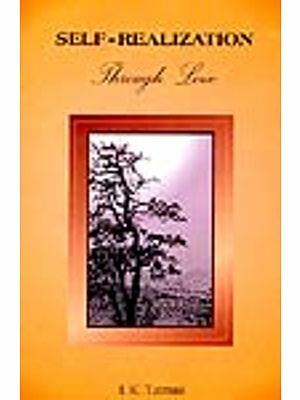 With this hope we present sage Narad's book of love to may this book open our eyes of love, forever. Therefore, we shall now explain devotion. Sage Narad is an incarnation of Lord Krishn who appeared in this world as a devotee to nourish mankind with devotion (bhakti). He revealed the following aphorisms on devotion as the fruit own personal experience of union with the Beloved (the Lord). In this quote, the path of action is known as karm yog, where work is performed as a spiritual discipline. 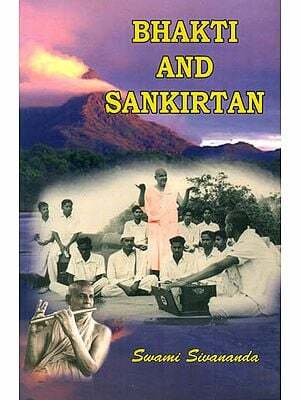 The path knowledge (gyan yog) is most suited to intellectuals who want to study the Vedas in order to know their own true nature. The path of disciplined contemplation (rajyog) is a practice to still the wandering mind. The purpose of these aphorisms is to help aspirants understand the path of devotion (bhakti yog) through sacred love (prem). Which is exclusive and pure love for Lord Krishn. Narad assures the aspirant that this is a guaranteed path to attain Him. 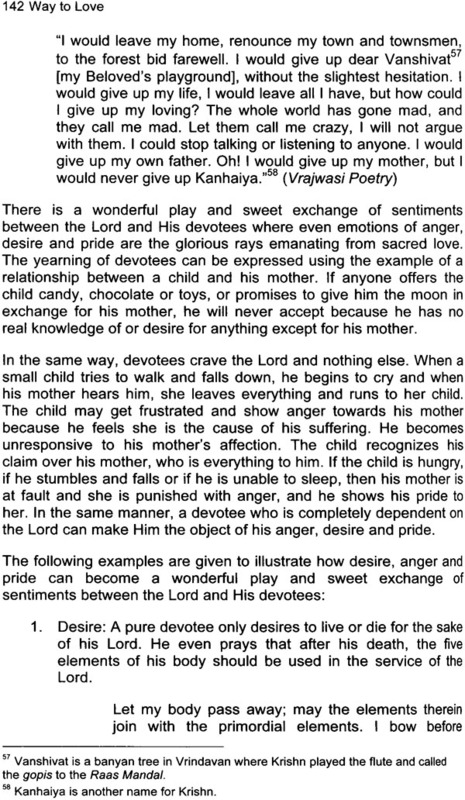 1.The subject matter (Vishay) of this doctrine is devotion. 2.Devotion is meant for those who have a yearning to understand and practice the path. Sage Narad says that his scripture is for anyone who has a belief in the existence of the Lord. Reach the first stage of devotion, the candidate must have faith. Faith means a solemn aspiration to attentively follow the process of devotion, as described in the scriptures. The Chaitanya Charitamrit (2.22.64) states, "Only a person who has faith is eligible for devotion." Devotion does not depend on time, place, gender or caste. It is entirely dependent on faith. No one can fulil any endeavour in any path without faith. In the Bhagwad Gita (17.28) Lord Krishn says, "Oblations, charity, austerities and other good works are futile if not done with faith because the performer will not receive the true fruit of his acts in this world or the next." One can say faith means the removal of doubt combined with a favourable attitude towards the practice of devotion. The deeper a devotee's faith, the more his hart becomes favourably inclined. 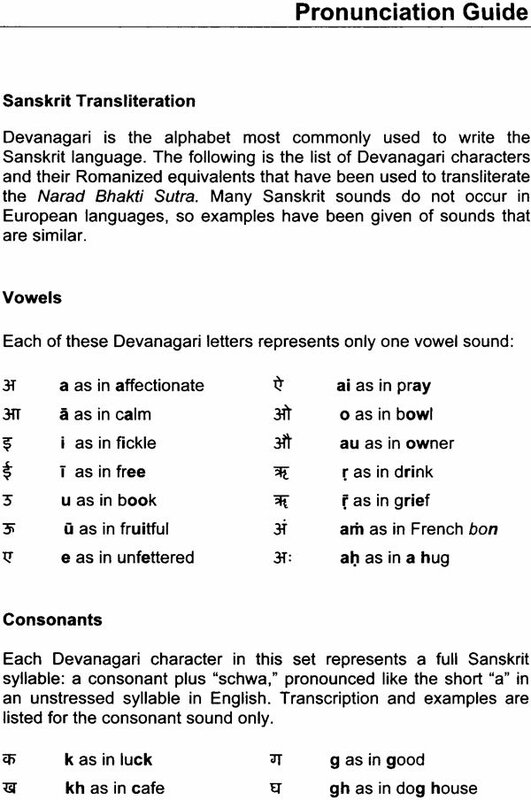 The devotee attempts to gain realisation from the scriptures and aspires to understand them logically. When there is firm faith in these teachings, one understands that life is wasted without the Lord, who is the soul's true goal. Each scripture builds a firm foundation for a particular spiritual path and requires an aspirant to have specific qualifications, but in the scriptures of devotion, the path of devotion is open to all. 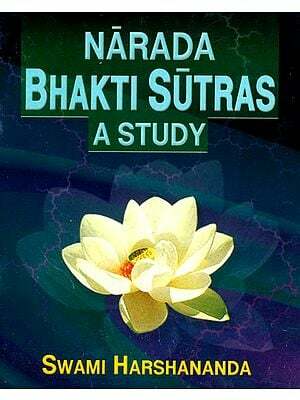 Still, only those who want to shape their lives according to the Narad Bhakti Sutra are eligible to know it. People who are proud of their spiritual practice and feel they do not need any guidance will not yearn to take shelter of this scripture. Those who are not satisfied with their understanding and practice of devotion, or those who are seeking the path which can make the Lord their Belond, are eligible to follow the teachings of this scripture. A person who wants to understand this path need not necessarily be a scholar. The purpose of devotion is not to satisfy one's intellectual curiosity. It is a subject that concerns one's life. Sage Narad is not addressing those who want to conduct an academic study on devotion; this is not a requirement for a devotional aspirant. Many professors teach on the subject of devotion and draw conclusions, but they do not practice devotion in their lives. This point can be further understood by taken the example of a professor who has some understanding of devotion, but in reality, it is only a matter of discussion for him. The professor may speak brilliantly on various subject, but these topics have nothing to do with his own philosophies, which can be far removed from the path. Sage Narad is sharing his teaching with those who want to understand and practice devotion. Devotion is accessible to all. Sage Shandilya mentions in his Shandilya Bhakti Sutra (aphorism 78), "All are eligible for the path of devotion, including those who are socially unprivileged, menial servants, people born in impious families or women receive my shelter, they also attain the supreme goal. "One who correctly understands and receives the teachings of the devotional scriptures like the Narad Bhakti Sutra becomes a vessel of Lord Krishn's grace and attains release from cycle of birth and death. A person desiring to follow the path devotion need not have any kind of special status in society to understand this devotional science. Old age is not a prerequisite for practicing devotion. Often, young people leave this practice by saying it is not suite to their lifestyles; especially when they have desires for desires for money, reputation, fame, vices, and so forth. Some make an incorrect assumption and feel that they can only attain or practice devotion once they are able to detach from material attachments. One does not to renounce anything before beginning devotional practice. 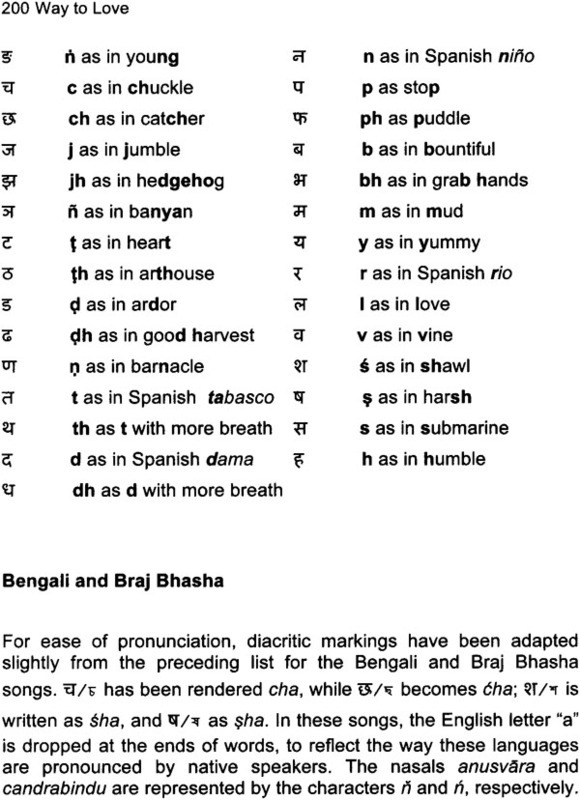 In the scriptures, devotion is known as Bhakti Devi. When a child plays outside and becomes dirty, the mother does not think that her child should take a bath first and only then she can hold him. When a mother sees her child's condition, she holds him in her arms, gives him a bath, wipes his body, combs his hair dresses him, feeds him milk then when he is dully ready, she gives her child to his father. In the same way, Bhakti Devi Does not see castes, creeds or defects. In her children. She accepts everyone, decorates them with good qualities, feeds them love, and when they are ready, she offers her children to the Lord. Therefore, one does not need to avoid devotion in life. When devotion comes, good qualities will automatically come. Exclusive loving devotion to Lord Krishn purifies devotees of unrighteous actions, which manifest in them due to a lack of knowledge, negative influences from their upbringing and exposure to inappropriate association. Devotion alone is capable of leading such persons directly to the higher destination of te spiritual world and into the Lord's eternal association. Desires for sense enjoyment may be there, but these desires should not be strong enough to exclude the learner from the pursuit of spirituality. The scriptures describing the path of devotion are particularly helpful a person who is neither extremely engrossed in material desires nor has he the utmost spirit of renunciation. 3.There are two main purposes (prayojan) of this scripture: the first aim is to guide one who is yearning to become a devotee. 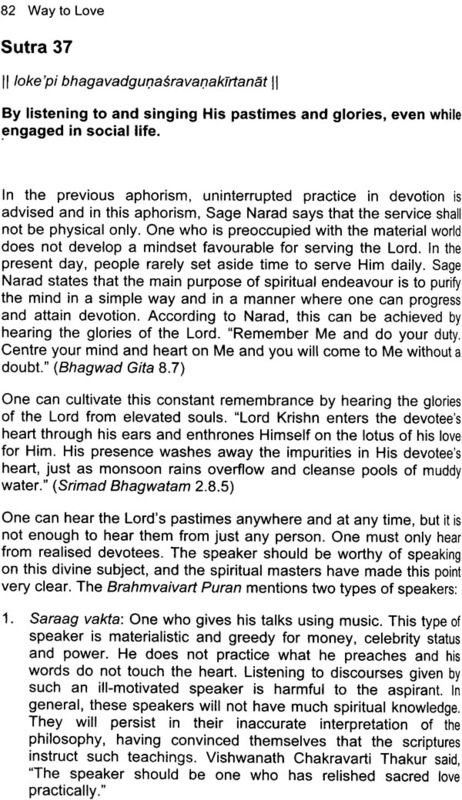 The priti Sansarbh (section 65) says, "Devotion prepares, directs and allows the spirituals aspirant to see the Lord because the Lord is controlled by devotion only. Devotion is best of all. The second aim is to give shelter to those aspirant who lack an understanding of sacred love because they do not have the association of elevated devotees, and therefore, they are not on the right path to reach the Lord. Some aspirants practice according to their own understanding and feel they can reach sacred love, but according to the scriptures, there is a process to reach this level of devotion. 4.What is the relationship (sambandh) between the subject matter and the ultimate goal to be attained for one on the path of devotion? Here, mere intellectual understanding is not enough. The teachings are based upon Sage Narad's personal experiences and supported by others, as recorded in the scriptures. Such experiences are essential to help define devotion; otherwise, people may get carried away with their own understanding, and as a result they may neglect to put into practice the true spiritual principles. Without some attraction for devotion, one cannot even begin one's spiritual journey: a journey that eventually blossoms into sacred love.